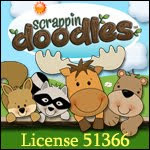 A - B - Seymour: Lots of fun SCOOT freebies! Lots of fun SCOOT freebies! Last week was nothing short of c.r.a.z.y. We had conferences Thursday evening until 9 pm, I met with my principal for my pre-conference after filling out almost 10 pages of information, took a 4 hour online violence training course, had 2 meetings for a couple of my kiddos, had morning duty for 20 minutes each morning before the bell rang, and had to make sure the house was clean because we had company over Friday night! Phew...I'm tired just thinking about it again! I was observed yesterday morning and it went really well, but I always get so nervous so I'm very glad it's over! We have been working really hard on double digit addition and subtraction. My kiddos are doing pretty well at addition and subtraction individually, but when they are mixed up they often struggle- especially with double digits! We have been practicing during our small groups and playing some games on our iPad, Smart Board, and we played Scoot! I have found that my kiddos LOVE Scoot! It's pretty easy if you've never played before. The kiddos take their answer sheet and pencil and rotate around the room and answer a question that is on each desk. This year my kiddos can just walk around the outside of our desks so they're pretty much moving in a circle which has been way easier for them that what we tried last year!! It gets them up and moving which really helps my kiddos who have trouble focusing. I say 3-2-1 and they say SCOOT! 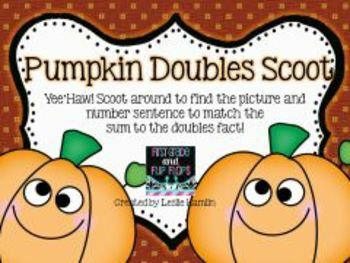 I am working on making a double digit math fact Scoot game to share with you too! 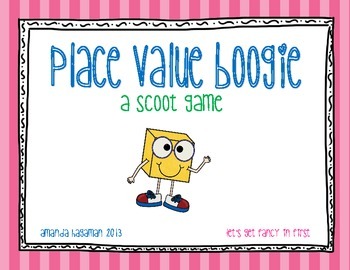 I highly recommend playing Scoot with your kiddos if you haven't before. It's a great way to keep them involved and still practice important skills. 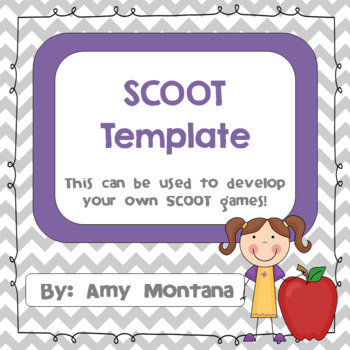 You can create any Scoot game with Amy's template!! 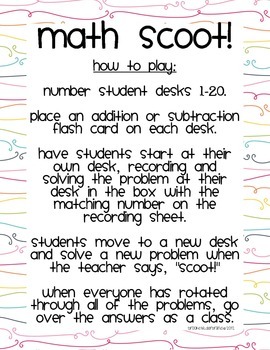 This Scoot game is a great way to practice number sense! 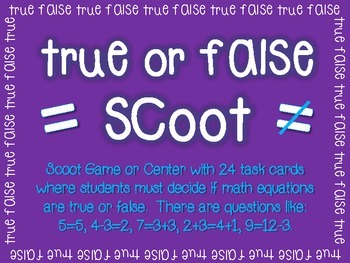 This Scoot game will help your kiddos understand whether math equations are true or false! Oh my, that does sound like a crazy week!